From all accounts it was a very, very hot day for the first outing of 2017. 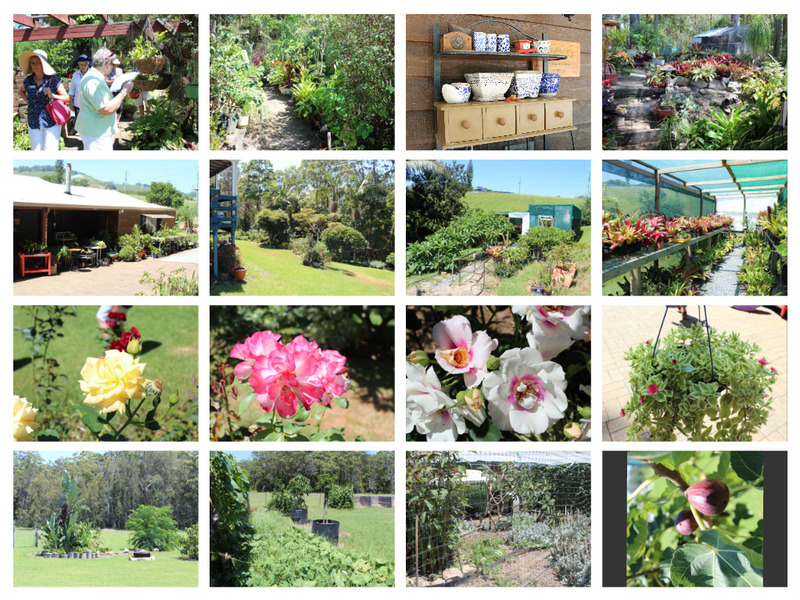 Some hardy souls braved this heat to visit three gardens - two at Woolgoolga and the last was CHGC President Sue and her hubby's expansive garden at Corindi. Some members taking a break and having a chat in the shade. Gardener Joan at the first stop in Woolgoolga has an eye for embellishment - her garden in a rental has been constructed to be lifted if there is ever a need to move. A really fun garden to visit. 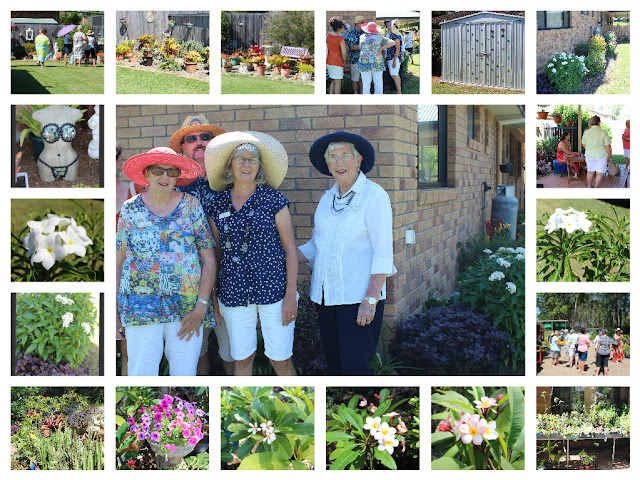 The second garden in Woolgoolga is maintained by a true plants-woman Jo, here members saw some wonderful traditional plants in excellent condition and a wide variety of propagated plants as well. The final garden is on acreage at Corindi and this was the destination for lunch - apparently it was a relief to get indoors out of the heat and enjoy the company of like-minded folk over a lovely lunch. Many thanks to Michael R. for the photos. Couldn't have been hotter had we had cruised on the River Styx! Still was a great day. 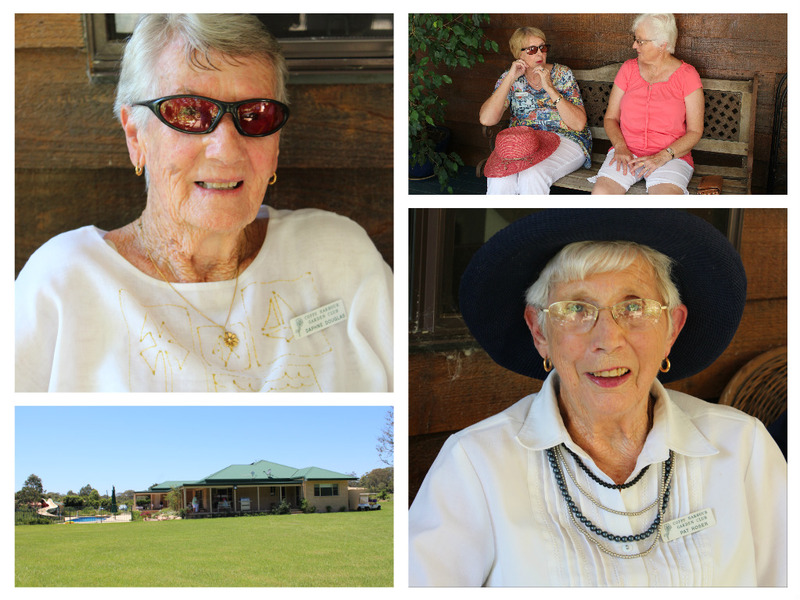 Joan Simson, from the Woolgoolga Garden Club, welcomed us to her garden. After a relaxing morning tea under Joan's pergola we explored the garden. Joan has some spectacular bromeliads and everyone admired the pure white frangipani, plumeria pudica and Joan's garden sparkles. pretty good bargains. The caladiums were favourites as were the hanging baskets. Lunch was a share a plate affair at Sue Young's house. By the time we got there the mercury had climbed to around 40. Almost too hot to venture outside into the heat but a few brave souls checked out the orchard, the vege patch and the hospice of fading plants. Bound to be more fun to be had on the March outing ... see you there.